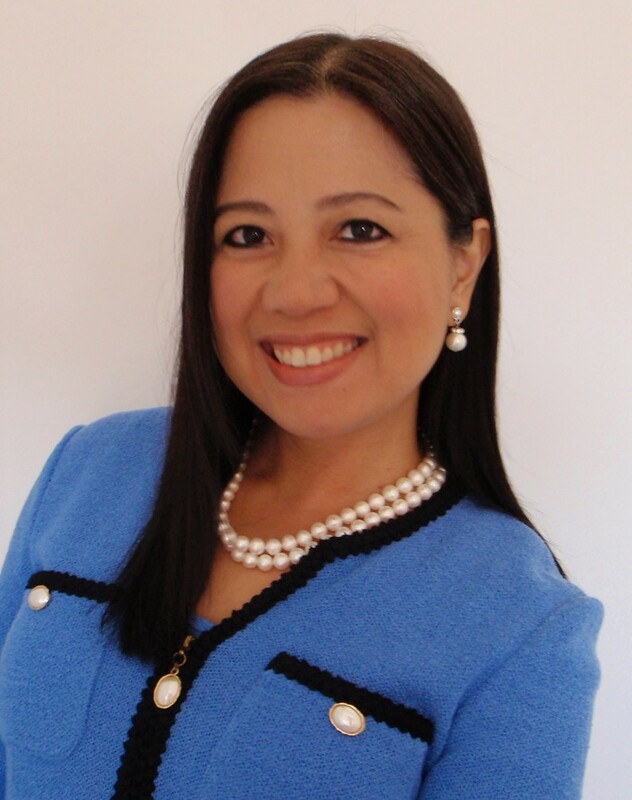 Today’s guest blog comes from Joyce Yamaato in honor of Mother’s Day. Joyce currently serves as a vice president with Wells Fargo’s Strategic Philanthropy and Partnerships Group. She moved to the United States when she was eleven years old. After college, she became an AmeriCorps English as a Second Language teacher to adult immigrants and refugees with the Literacy AmeriCorps program in New Orleans. Her transformational experience with AmeriCorps has influenced her to pursue a philanthropic career spanning 20 years. Service starts with family. Family in my culture is basically everyone. I remember growing up and having lots of “aunts and cousins.” It wasn’t until I got older that I realized that we weren’t necessarily related! 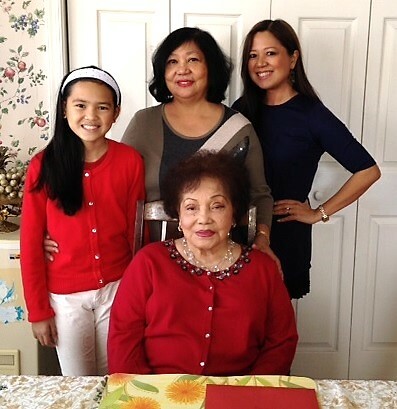 Joyce (far upper-right) with her daughter, mother and grandmother. As I reflect on Mother’s Day weekend, I am reminded of the influence of important women in my family — my mom, Joylyn, and my grandmother, Alice. Both my mom and grandmother were very involved in the community. “Service” to them meant volunteering at church, making meals for those going through hard times and giving charitably. I work to pass on these same community values to my own children. My mom and grandmother also gave back through teaching. My mom taught English overseas. At the time, she was the only female department head in the late 1960s and early 70s. My grandmother taught sign language here in the United States. She received her Master of Arts in Speech Language Pathology from the University of Alabama in the mid-1960s. I’ve always thought of her as an adventurous woman. She went back to school to get her master’s degree after her six children became adults. Her teaching career spanned 35 years. My grandmother passed away last year at the age of 92. The photo that you see was the last one that I took with her during the holidays. I believe that her time teaching students of diverse abilities was one that she cherished the most. It was also an experience that resonated with me when I decided to serve in AmeriCorps. I remember how excited my mom and grandmother were when I first got accepted into the Literacy AmeriCorps New Orleans program. I taught English as a Second Language to immigrants and refugees, and they were extremely supportive of me throughout my year of service. I found that they listened and asked questions a lot, mostly about my students and how I responded to their needs. I thought they would have been more prescriptive given their expertise in teaching! Instead, they generously—and gently —guided me as I figured out my own style of teaching and how to surface solutions on my own. This Sunday is Mother’s Day. As a mom, I see my 12-year old daughter growing up to be community-minded. I remember driving her and my son to volunteer at an emergency event simulation. I watched as they learned to set up a tent and how it can quickly become a shelter, an urgent healthcare center, and a place to eat a nutritious meal in the aftermath of a disaster. We talked about what it might be like for displaced children and refugees living in other countries. Today, I see my daughter continue to develop as a local and global citizen, and a great role model for her younger brother. 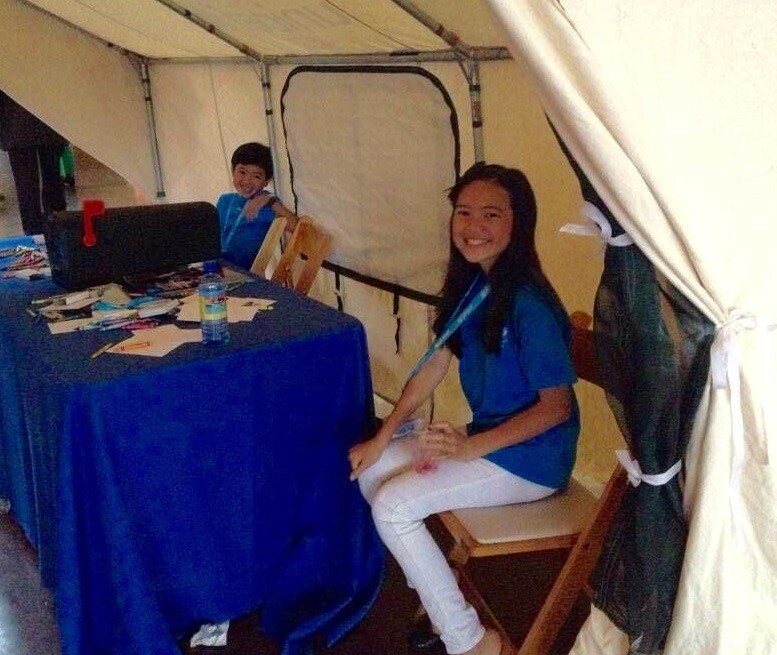 She’s passionate about volunteering to support the rights of children and is also currently participating in a global classroom activity focused on access to clean water. As my daughter grows up, I think how amazing it is to see the influence and community values of generations of women in my family reflected in her. I’m also inspired as I think about the collective impact we can make together in our communities. On this Mother’s Day weekend, I’m thankful for my mom and grandmother for setting me on a path toward servant-leadership, and AmeriCorps for giving me a chance to keep following it. 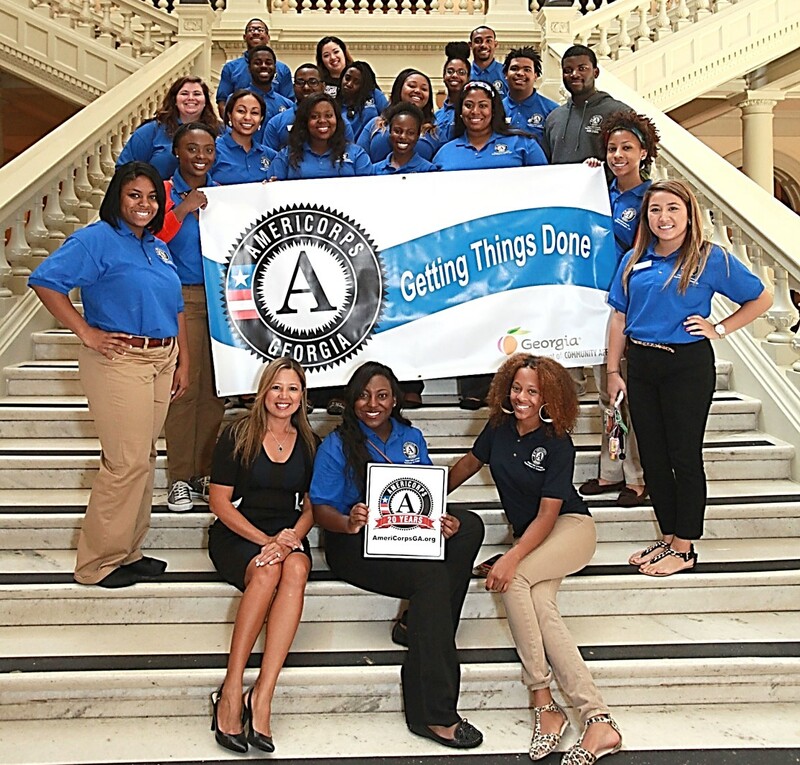 Joyce with GA AmeriCorps members at the State Capitol for the 20th anniversary of AmeriCorps (9/12/2014). I have had the privilege of being one of Joyce’s chosen family. We have been best friends for over 20 years and she has always inspired me by her generosity and love of knowledge and people. Happy Mothers Day to one of the best moms I know ❤️!! Joyce is amazing. It is nice to see her raising her daughter to be giving and socially conscious. Joyce’s mom and grandmother have clearly had a loving positive influence on her in many ways. Joyce is generous, caring and inspirational. She’s making a difference and helping others and I’m so glad I can call her my friend. Joyce is truly an inspiration. This was a wonderful story about the power of family and the bonds of service.